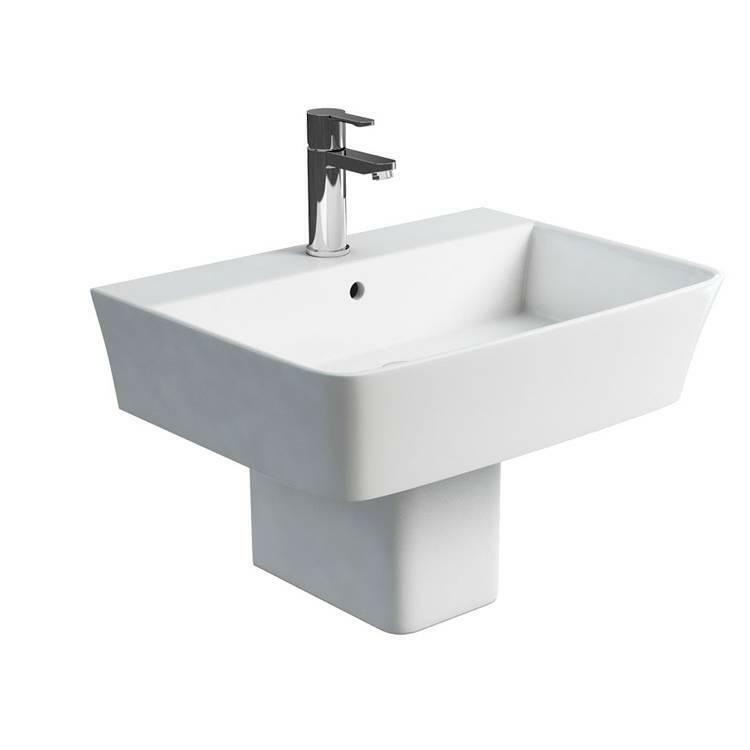 Britton Fine 600mm Basin & Square Fronted Semi Pedestal. The Britton Fine 600mm Basin & Square Fronted Semi Pedestal has been exquisitely crafted to form ultra slim edges for a stunning modern look. 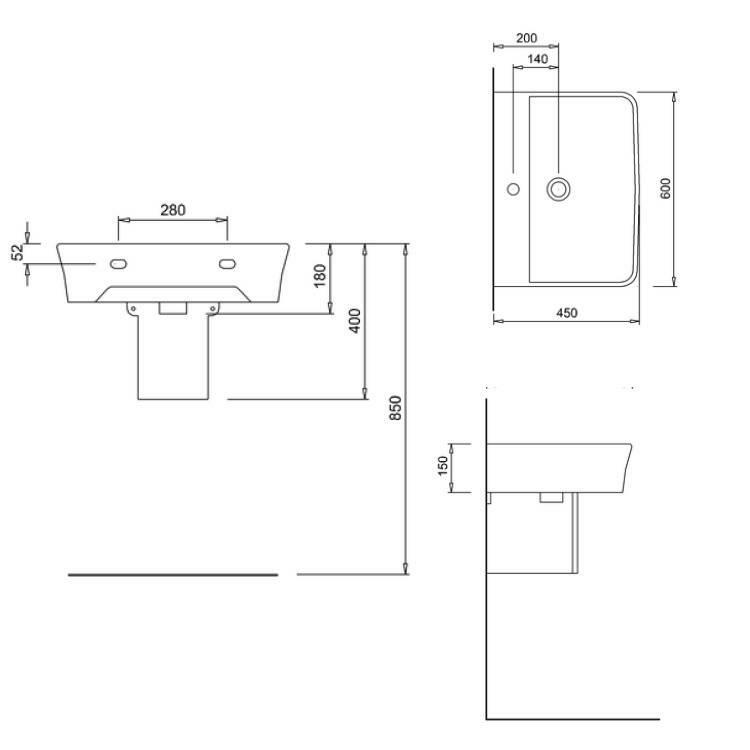 The Fine range continues to become a firm favourite, creating a unique designer feel to the contemporary bathroom space.